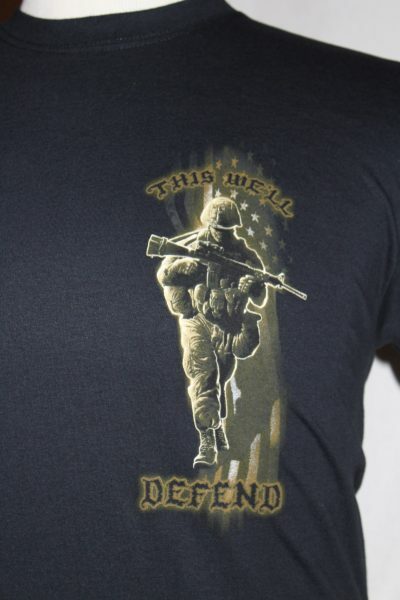 The American Soldier Defend T-shirt is a two sided print in black. 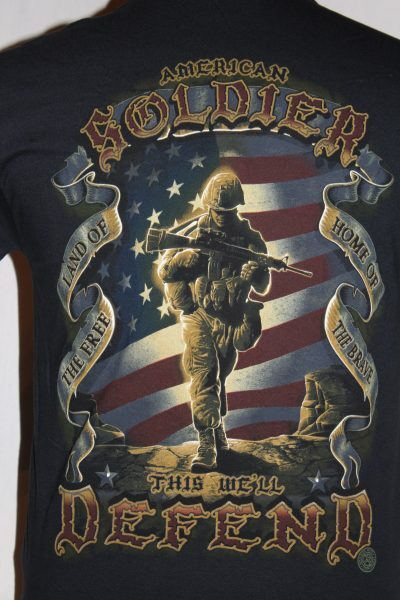 Front Design: Elongated left chest design of soldier and text. 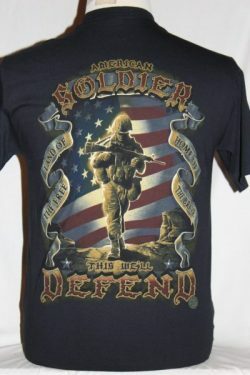 Back Design: A larger image of the soldier with additional text. 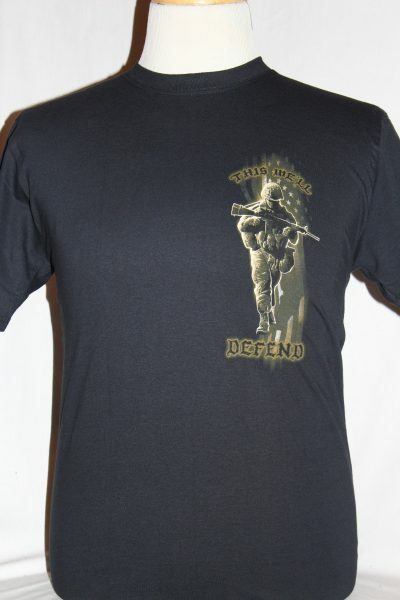 Fruit of the loom 100% heavy cotton t-shirt.